Charles R. Rizzo, age 65, a longtime Townsend resident, formerly of West Groton, passed away on April 11, 2019 after a courageous battle with cancer. 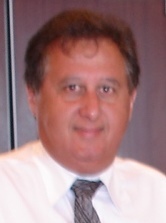 Mr. Rizzo was born in Fitchburg on December 1, 1953 son of the late Jerome V. and Anne T. (Digiacomo) Rizzo. Raised in West Groton, Charles was a longtime resident of Townsend. 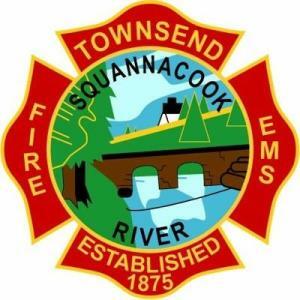 Charles was a retired member of the Townsend Fire Department with 20 years of service, having reached the rank of Lieutenant. Charles was an avid sportsman (always going out no matter what type of hunting season it was) and was a proud member of the Townsend Rod and Gun Club. Charles enjoyed spending time hunting, fishing, working in his yard, and also enjoyed spending time with his family and friends. He received an MBA from Suffolk University, and worked for many years with Digital Equipment Company (DEC), Hewlett Packard and most recently with the Raytheon Corporation in Contract Procurement. Charles is survived by his brother Joseph and wife Mary of Milton, MA. Charles also leaves behind his Aunt Isabel Uzzo and her husband Peter of Bridgewater, MA, and an Uncle Domenic of Fellesmere, FL, and Aunt Charlotte Digiacomo of Quincy. Charles also leaves behind many special cousins: Joanne Rizzo, Camie Hoffmann, Gail Smith, Vincent Chris and John Digiacomo, Peter Uzzo Jr, and Andy Digiacomo, along with Mark and Michael Hoffmann, Christian, Michaela, Mason and Zack. He will be missed by his brother,-sister in-law, family and many friends who knew and loved him dearly. RIZZO – Charles R., a longtime Townsend resident, formerly of West Groton. Relatives and friends are respectfully invited to attend a Mass of Christian Burial at Our Lady of Grace Parish worshipping at St. James Church, 13 St. James Ave, West Groton, MA on Tuesday, April 16 at 10 AM. Interment will follow at St. Mary’s Cemetery, Ayer. Visiting hours will be held in the McGaffigan Family Funeral Home, 37 Main St. (Rte. 113) on Monday, April 15 from 5-8 PM. In lieu of flowers, please make a donation to Emerson Health Care Foundation 133 Old Rd. to Nine Acre Corner, Concord, MA 01742 (www.emersonhospital.org/support-emerson/donate-now).